Malta has been described as one big open-air museum. What makes it unique is that so much of the past is visible today. Delve into the island’s mysterious prehistory, retrace the footsteps of St. Paul or see where the Knights of St. John fought their most famous battles. 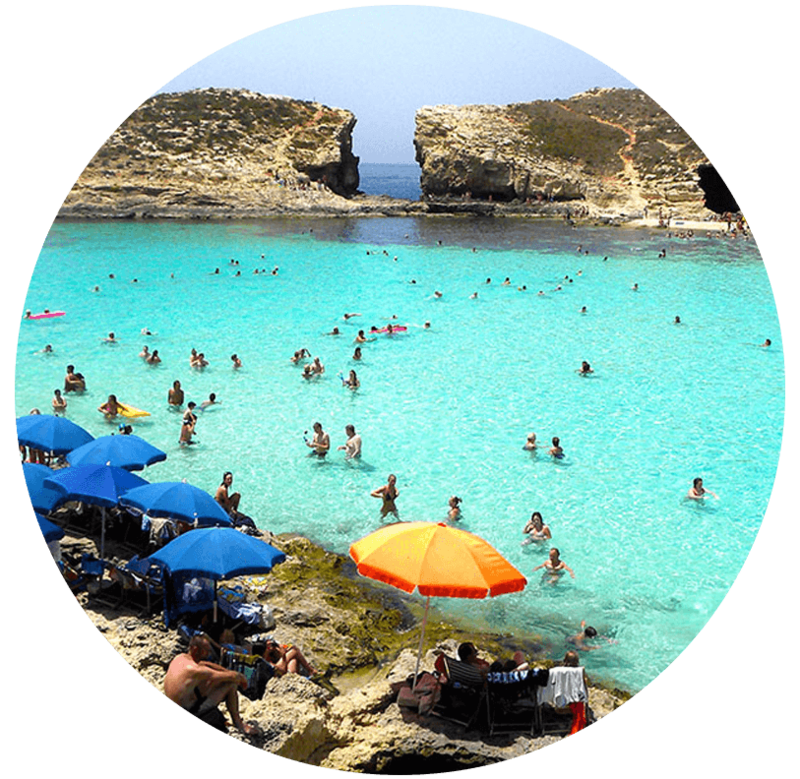 Malta has beaches for everyone, from windsurfers to sunbathers. Choose from golden sand, red sand, rocks, blue lagoons and even inland seas. Some beaches and rocky shores are off the beaten track, but worth seeking out for their seclusion. Do not miss a boat trip to Comino’s Blue Lagoon for the ultimate in azure water. On larger beaches, you will find cafes or snack bars open during the summer season. With Malta’s climate, beach life lasts well into October. Enjoy water sports and activities like windsurfing, jet and water skiing, parakiting and fun rides. You can hire equipment from beach cafes or shops nearby. Maltese cuisine is the result of a long relationship between the Islanders and the many civilisations who occupied the Maltese Islands over the centuries. This marriage of tastes has given Malta an eclectic mix of Mediterranean cooking. 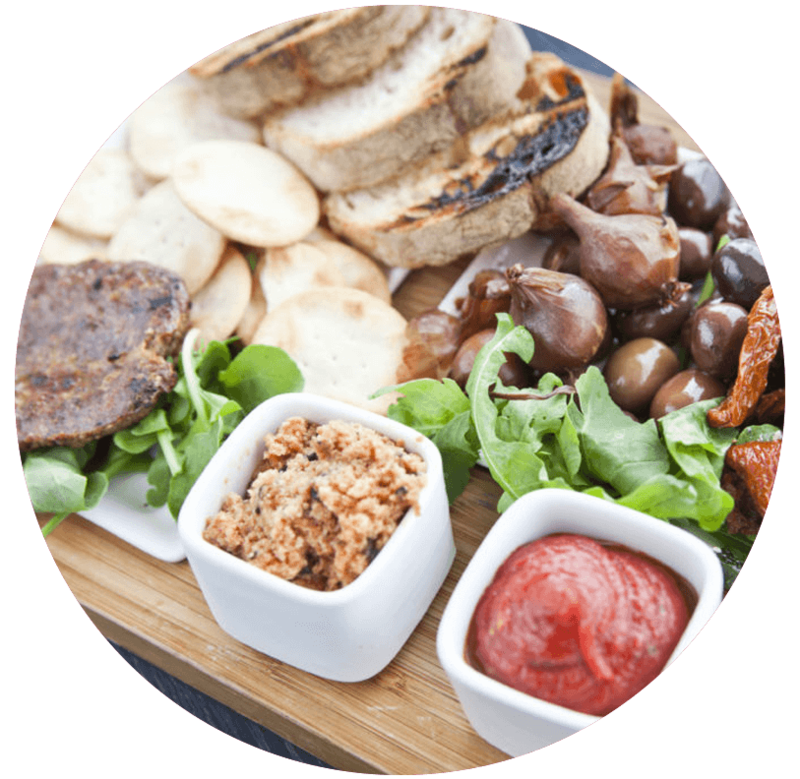 Although the restaurant scene is a mix of speciality restaurants, there are many eateries that offer or specialise in local fare, serving their own versions of specialities. On most food shop counters, you’ll see Bigilla, a thick pate of broad beans with garlic. The snacks that must be tried are ‘hobz biz-zejt’ (round of bread dipped in olive oil, rubbed with ripe tomatoes and filled with a mix of tuna, onion, garlic, tomatoes and capers) andpastizzi (flaky pastry parcel filled with ricotta or mushy peas). Discovering 7000 years is easier than you might think. The Maltese Islands are really one big heritage park. There are open-air sites and indoor museums for every historical era – from Prehistory to World War II. The Knights of St. John were great patrons of the arts and during their 250 years rule left a legacy of masterpieces which can be found in museums, palaces and churches right across the Islands. The islands’ museums have something for everyone – whether you’re browsing just for leisure or wish to deepen a special interest. 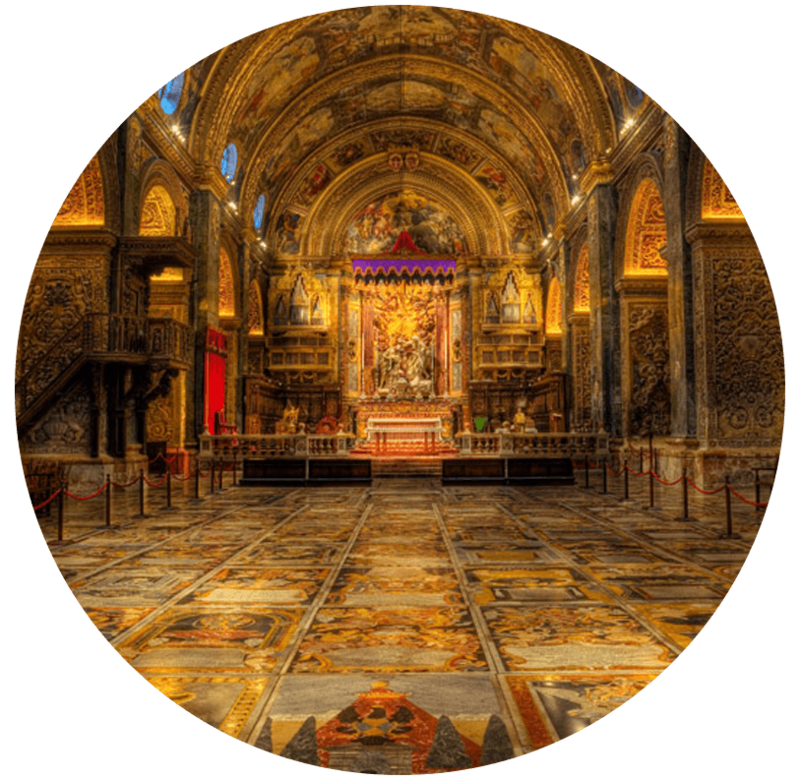 You will find magnificent Baroque architecture and sacred art treasures and get a glimpse into the spectacular history of the islands. With their deep colours and rugged landscape, the Maltese Islands have long inspired artists, photographers and sculptors, both local and foreign. Some of these are exhibited in various galleries, including works by some excellent contemporary artists. The Spazju Kreattiv at St. James Cavalier in Valletta, showcases their work, whilst other venues, such as the National Museum of Archaeology hold regular exhibitions of art, sculpture and ceramics. 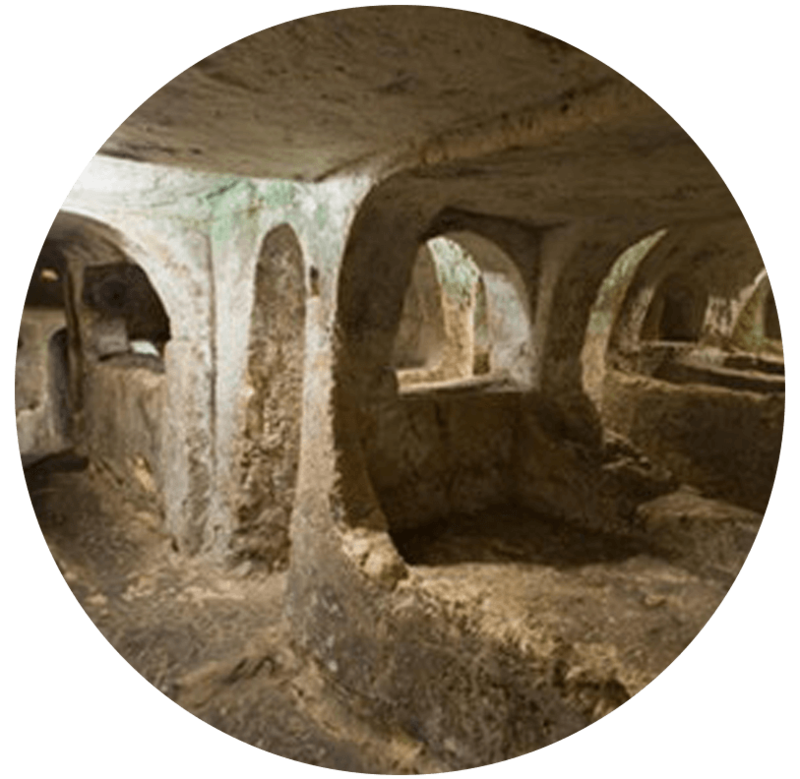 One site above all others is special to Malta – the Hypogeum, a labyrinth of underground chambers probably used as both a burial site and a temple. The Islands’ temples qualify as UNESCO World Heritage Sites and are open to the public. There are megalithic monuments, Bronze Age dolmens, Punic tombs, remains of Roman Villas and traces of prehistoric man, which defy explanation, such as the mysterious ‘cart tracks’. For three millennia, from around 5200 B.C., the archipelago was home to a unique, temple-building civilisation. Malta and Gozo’s temples are thought to be the oldest free-standing buildings known to man. A good place to start your tour is at the National Museum of Archaeology in Valletta or the Hypogeum itself.